Francois Baucher left no written account of his second manner, leaving the very notion of two distinct manners (a.k.a., training methodologies) in question. Some would argue the ‘second manner’ is merely a documentation gap. Over the course of his life, inevitable evolutions of technique and principle were passed on verbally to direct students, which were not included in his earlier, published work. Thus, Baucher’s ‘second manner’ principles are an extension of his earlier descriptions – not a correction, as some have suggested. The last snapshots of Baucher’s method come to us vicariously through Baucher’s last students. There is room for interpretation, and, in my opinion, a critical gap in even the most excellent descriptions (e.g., Faverot de Kerbrech’s Methodical Dressage of the Riding Horse). Notably, we lack a clear description of how to convey rider’s intent to demobilize versus the intent to mobilize. It’s just dots and dashes. Simple. But what’s the difference between a dot and dash? Using a hand-held radio, “SOS” would sound like “beep beep beep (pause) beeeeep (pause); beeeeeep (pause); beeeeep (pause), beep beep beep.” We could use light instead – three quick flashes, followed by three longer flashes at longer intervals, followed by the three quick flashes again. It means the same thing using any discernible means. Still with me? If I asked you describe the letter “S” in Morse Code on your horse using your heels from the saddle, you could do it, couldn’t you? You could quickly, gently apply three taps with your heel. Let’s use Morse code as a point of departure then. To keep things simple, we can use the same symbols. A “dot” (or ” . “) is punctual. It’s a “poke” – versus a “press” or “approach”. It’s a “tap” versus a slower “touch”. 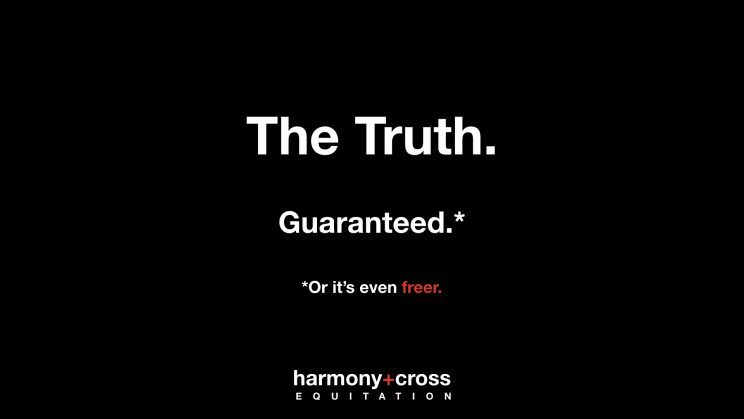 It’s quick, impulsive (in the context of generating impulsion vs. behaving impulsively); and it repeats in tempo, subsiding only (but IMMEDIATELY) when the operator is satisfied with the horse’s INTENT to execute a given order. This impulsive sensation – the “dot” – means “MOBILIZE NOW“. Depending upon what my hand is doing, this signal may mean ‘mobilize by extending’, simply increasing energy (elevation), or mobilize to the rear versus forward … but it always means “mobilize”. If my horse is slow to execute, the taps will become crisper – all the way up to what I would describe as a “punch” with my spur (for example, in the case of a resisting, rearing horse, in order to make him move forward to avoid any risk of falling backward – and, of course, to discourage such a resistance in the future). Think of the “dash” as the opposite of the dot. It means DEMOBILIZE. It is a pressure which softly “approaches”, and remains palpable to the horse until the operator is fully satisfied with the horse’s response. It is an analogue effect, versus binary or “digital”. 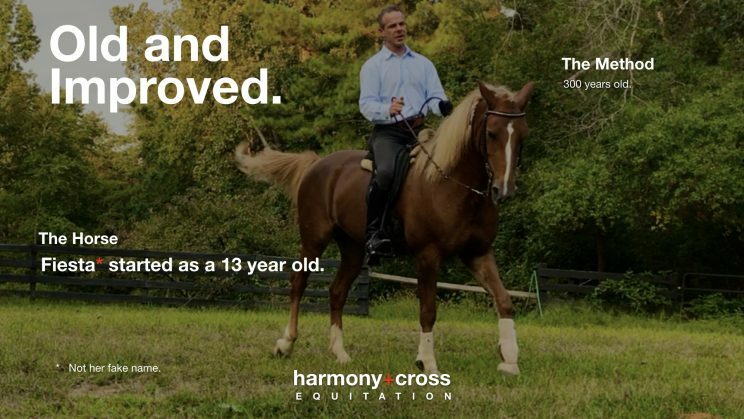 This means we can begin to demobilize very softly and just a little (in effect, bringing our horse rassemble in his current gait) – or, using a more sincere, frank “approach” – where the pressure of our legs more quickly reaches the quality of a “squeeze” – we can effect a short or sliding stop. A continued, unabating squeeze should result in complete immobilization – not reverse, nor any movement whatsoever. Baucher described the “dots” as an “attaque“. Of course, in French the word merely meaning implies a lancing-like movement – as if poking something with a spear quickly. Baucher is highlighting the quality of the quickness – of ‘poke and pull back’ – he’s not suggesting “violence”. Unfortunately, many readers mistakenly associate the use of “attack” or “attaque” with brutality, and missing Baucher’s intent (delineation of signal) entirely, evidence that Baucher (the king of lightness) was a brute. Such misunderstandings have made it easy for Baucher’s critics to paint him as a harsh trainer who used abusive means to achieve his ends. Nothing could be further from the truth. How would we ever achieve the products of Baucherism – namely, incomparable lightness and responsiveness to the hand and heel – with abuse? If you know horses well enough to ride high school, you know grace is never the product of force. So: how did we create the notion of the “dot” and the “dash” in the horse’s mind to begin with? Through application of two “second manner” principles. The “dot” emerged through the principle of “hand without legs, legs without hand“. In early training, when we ask the horse to “go” with our heels, we carefully avoid ANY room for misunderstanding by avoid any overlap between pulling with our hand and tapping with our leg … we are either definitely getting going, or not. The “dash” was installed automatically via the lesson of the combined effect – a.k.a., Baucher’s effet d’ensemble.